An assortment of finely fabricated racking system is essential while planning for a fruit and vegetable retail outlet. High grade raw materials become of utmost importance to ensure that the racks are durable, stable and reliable for extensive use. There are many types of racking systems for fruit and vegetable retail units. Fruit and vegetable adjustable racks, fruit and vegetable stainless steel racks, fruit and vegetable top canopy racks and fruit and vegetable tube type racks are some common types to be found in retail outlets for these perishables. 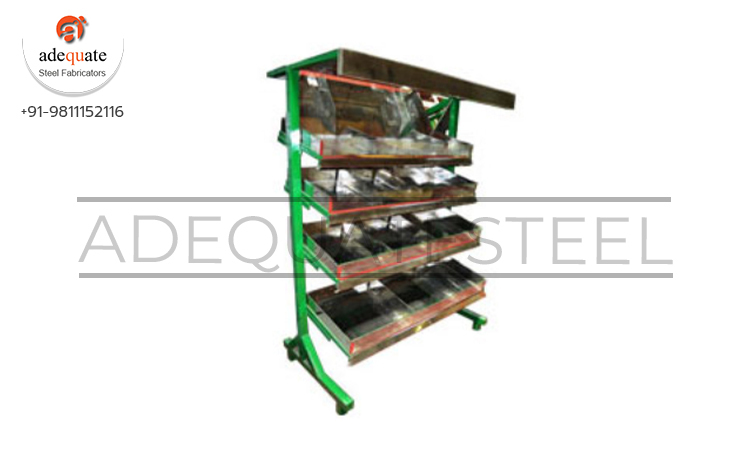 Adequate Steel offers all these types of fruits and vegetable racks. Among these stainless steel fruit and vegetable racks are a common sight in most of the outlets. These are made out of pretreated, standardized steel and are designed to perfection to suit the industrial standards and norms. The racks come in different standard modular specifications and the right ones can be chosen to fit the space and arrangement pattern of the vendor. The racking system is designed such that the top three rows are smaller and the fourth and last one is larger to offer better visibility of the fruits and veggies on display. The tilted angle works just fine for this industry. Stainless steel fruit and vegetable racks from Donracks offer optimum strength, high durability and corrosion resistance.